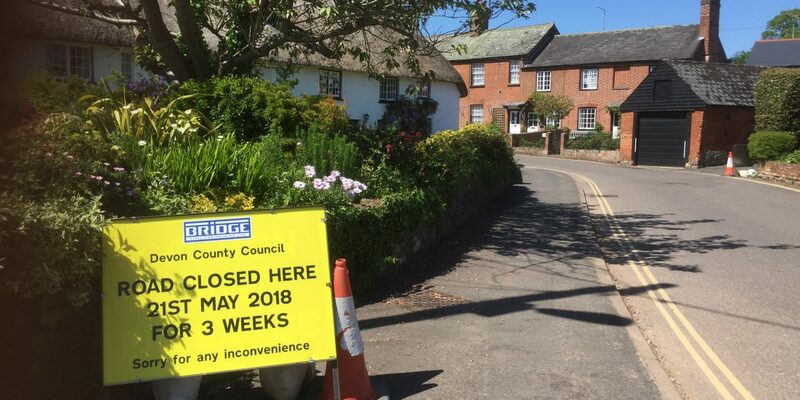 Devon County Council’s work at Pretty Corner is progressing as planned and due to complete by the end of this week (8 June). The work has involved repairing the culvert under Longmeadow Road and installing a liner to ease the flow of water. The purpose is to help reduce the risk of flooding in the properties at Pretty Corner.